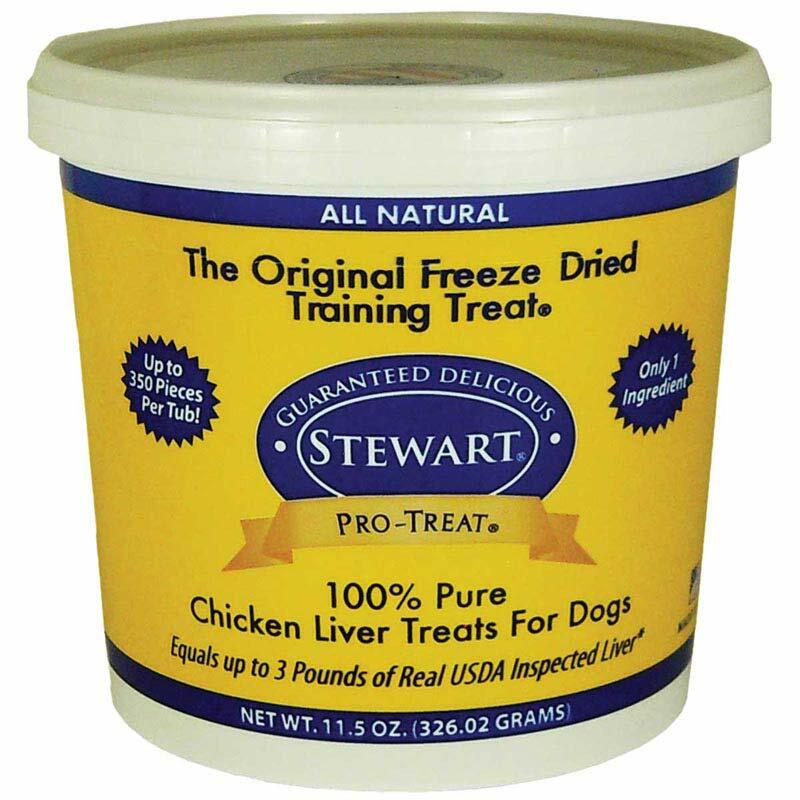 Stewart Pro-Treats Freeze Dried Training Treats are a favorite for training and rewarding. 100% pur freeze-dried beef, chicken or pork liver that makes a high protein treat for dogs. The freeze-dried process retains full flavor and nutritional value with no additives or preservatives. Made in the USA.